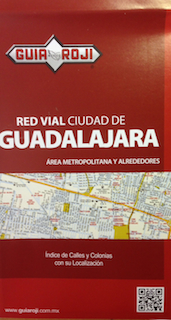 Mexico maps offers a wide variety of maps for cities in Mexico. These maps can be critical for navigating around the larger cities of Mexico. These are not always easy to find once you arrive at your destination city and it is always good to have your maps before you arrive so that you can plan your visit. These maps offer a lot of information about points of interest as well as up to date street maps and indexes. There are 59 items in this category. Please click on the "View Detail" for more detail and to purchase.